Forex Travel we will be closed on OCT 2, 2017 Monday, due to Sydney’s Labour Day Holiday. 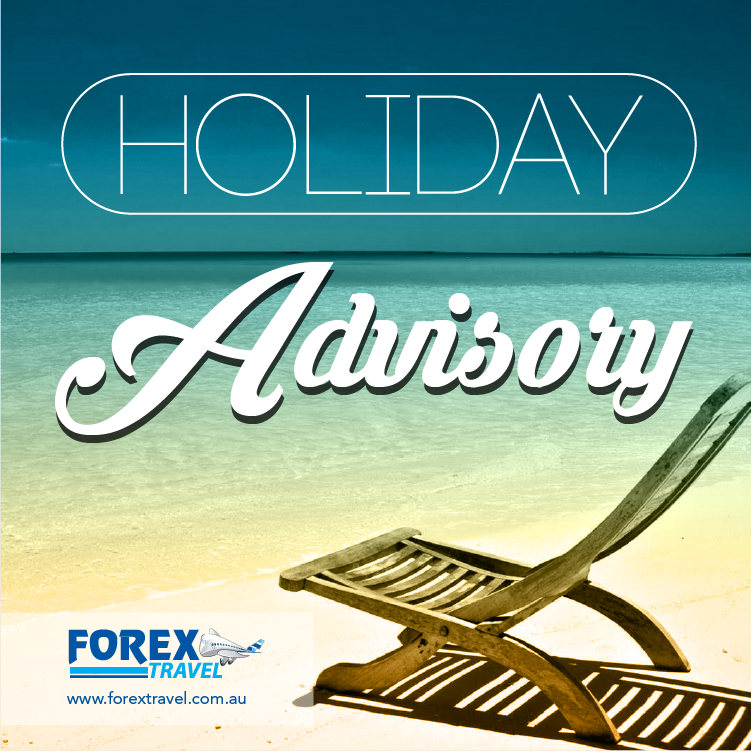 Please be informed that Forex Travel we will be closed on OCT 2, 2017 Monday, due to Sydney’s Labour Day Holiday. All inquiries and transactions placed on 2 OCT will be processed and replied back on 3 OCT.
We apologize for the inconvenience, and your understanding is greatly appreciated. Should you have any concerns please contact us at 0287770060.